So you call yourself a real Carnival fan, huh? Prove your Carnival street cred with these 10 questions. Careful, they get harder as you go! 1. Carnival’s mascot is named __________. 2. You can tell Carnival is all about fun because its first ship was named __________. 3. Which of the following is NOT a restaurant found on Carnival? 4. Carnival ships have been sailing for about how many years? 5. What is the name of these dueling water slides? 6. This sports bar is sponsored by __________? 7. At the moment, Carnival sails more ships than any other (ocean) cruise line. True or False? 8. Which Carnival ship briefly held the title of World’s Largest Passenger Ship when it launched in 1996? 9. 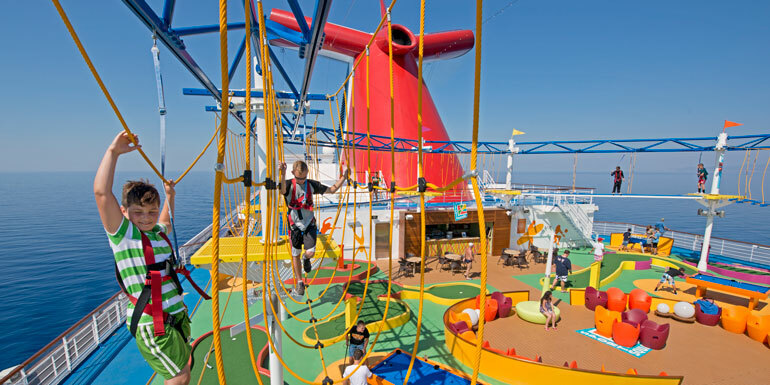 In 2011, Carnival launched a $500 million wave of innovations called __________. 10. Which Carnival ship was not supposed to be a Carnival ship?